Guest of Honor; CWO-4 Hershel "Woody" Williams USMC, Medal of Honor recipient. 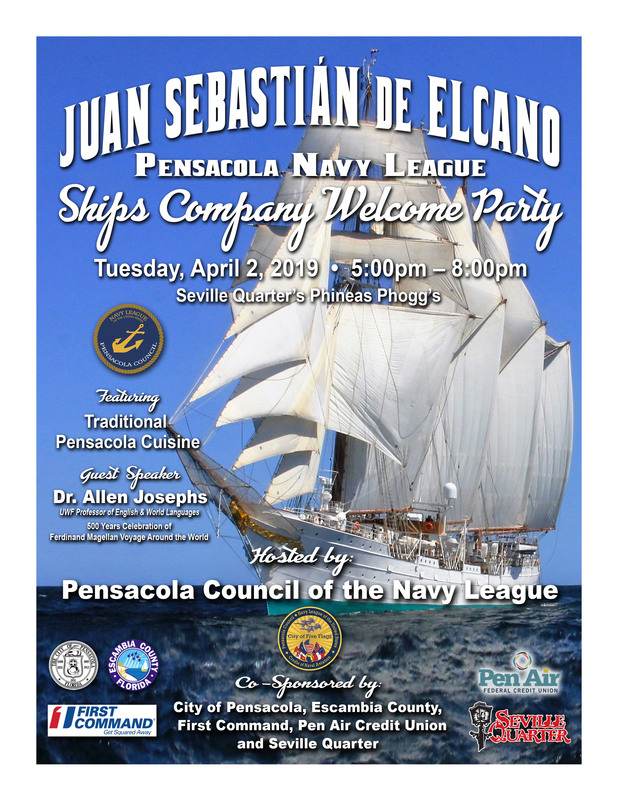 4:00 PM on Wednesday, 17 April 2019 at the Pensacola Yacht Club. Read More. The Admiral's Club is proud to offer a presentation by best selling author and noted defense consultant CAPT Kevin Miller USN (ret). CAPT Miller will be addressing the strategic challenges associated with events unfolding in the South China Sea: Read More. Wednesday, 22 May 2019 at 11:30 AM. Skopelos, at New World Landing. 31 March-5 April 2019, Pensacola, Florida. Visit Schedule of Events: Click Here. Tuesday, 2 April 2019 at Seville Quarter. Phineas Phogg's 5:00 - 8:00 PM. 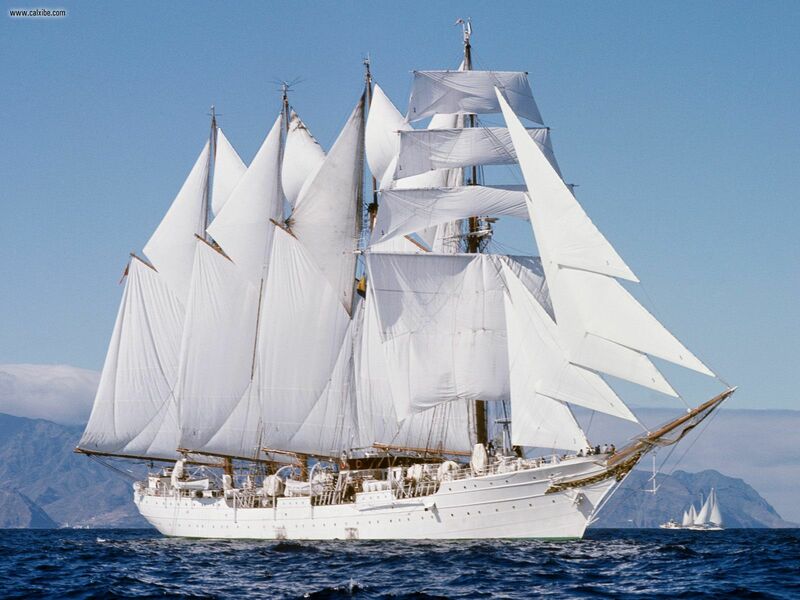 Come and meet the Elcano Commanding Officer and crew. Help give the ship a warm Pensacola WELCOME. Food, drink, music, historical presentation, proclomations, dancing. Something for everyone. This is a must attend event: Read More. See Invitation and RSVP: Click Here. Thursday, 25 April 2019. Heritage Hall, Seville Quarter, 0730. Local enlisted service members are recognized by the Pensacola Navy League during a breakfast ceremony held each spring. The event honors military enlisted members who have demonstrated significant contribution to their command and the community. The honorees are nominated by their respective commands. Marine Corps League Annual Car Show: 27 April 2019. Chapter Freedoms Foundation at Valley Forge and jointly sponsored by the Pensacola Navy League and the Freedom's Foundation. 3 October 2019. Pensacola Yacht Club; Attire: Civilian - Casual, Military - Service Khaki. Great food. Great people. Come hungry! On April 3, 2018, the Secretary of the Navy chose Pensacola as the site for commissioning USS Tripoli LHA 7. The estimated date of the commissioning is November/December of 2019. The USS Tripoli is named for the Battle of Derna in 1805, the first battle fought on foreign soil by the military of the fledgling United States of America. The ship is 850 feet long (about the size of the USS Lexington) with a crew of 1050 Sailors. She will be able to embark over 1700 Marines and is the first LHA, designed to support the new F-35B Lightning II. The commissioning will occur at the pier aboard NAS Pensacola in front of 6,000 to 10,000 guests. The Commissioning Committee, including members of the Pensacola Navy League, the Pensacola Marine Corps League, and the Greater Pensacola Chamber of Commerce will begin raising funds to support the crew and all the events of commissioning week. - Friday - Sponsor’s luncheon on the ship. The sponsor for USS Tripoli is Mrs Lynn Mabus. We will put out more detailed information as the date is set and gets closer. Stay tuned!